There are two ways of buying wine. Some people only buy wine for special occasions, for a dinner party with friends, or a sweet Valentine’s day picnic. They buy wine when they need it, and go through that small inventory right away. This way of buying wine does not require storing, which can be a convenience factor for a lot of people who lack space in their home. Having access to so many great wines from anywhere and anytime, certainly diminishes the need for proper wine storage. White wines, Rosés and even some reds can be enjoyed right away. Bear in mind that about 90% of all wines purchased are consumed within 24 hours! Just know that buying wine this way can be more costly than buying in bulk and storing on your own. Wine can achieve greatness and increase its own value when stored adequately. Which brings me to the second way of buying wine. Buy more and save! I know… this sounds like a terrible advertising scheme from your local grocery store. But it’s true! I think of it as an investment. Don’t BUY wine, INVEST in wine. You will harvest the fruits of that investment when you open a bottle. If you can wait patiently, and let the wine “do that voodoo it is supposed to do”, you will come out of this a true winner. Now comes the part about storing and aging your wine with proper wine storage knowledge. Wine “sleeps” best under a cool and constant temperature. Too many temperature fluctuations will affect your wine in a bad way. Standard “cellar temperature” is about 55ºF (13ºC), which not coincidentally is also the temperature of natural caves. This is the ideal temperature at which ageworthy wines mature most gracefully in long-term storage. If you have a natural cave, then you’re set. If not, you can build yourself a temperature controlled room and keep it at 55ºF. Another option would be to buy yourself a wine refrigerator/cooler. These can be costly, but the choices are practically infinite, so pick wisely. You can also look for a place in your home where the temperature remains somewhat constant, and without direct sunlight. Typically, the center of your home offers the best spot. Stay away from laundry rooms, water heater closets and even the kitchen. If you have a two story home, you can try under the stairs. If you have a crawlspace, that could be your ultimate setting for keeping your wine safe and sound. If the options mentioned above are not applicable with your setup, there’s one more idea to consider. I just ran across a kitchen design that blew my mind! Cabinets are always raised 5 to 6 inches up from the floor, leaving you with some unused space. Someone came up with a drawer idea that utilizes that wasted space and turned it into the most expensive real-estate in your kitchen. How cool is this?! As a matter of fact, way cool. Since heat rises, it leaves the temperature near the floor always cooler than the ambiant temperature in your home. Too much brightness is bad for the wine. The light will accelerate the aging process. Some wines use a darker glass to prevent too much light penetration but that is not enough. Make sure to keep your wine in a darker setting to improve its aging potential. Avoid vibrations. It is always better to keep the wine in a quite environment. This may sound silly but too much traffic and kinetic stress around the wine will affect its ageability. Young wines will most likely be fine but they get a little more sensitive as they get older. Last but not least, keeping wine horizontally is crutial. Why? Because if you don’t, the cork will dry out and lose its resilience. Air will start to make its way inside the bottle and oxidize the wine. Oxidized (or maderized) wine is the most common wine fault, along with microbial contamination. The process of oxidation happens when the wine gets in contact with oxygen. It can occur during the winemaking procedure and even after the wine has been bottled. A maderized wine main characteristics are loss of color, aroma and taste. That said, the arbitrary use of screw caps or plastic (synthetic) corks will alleviate this storage conundrum. 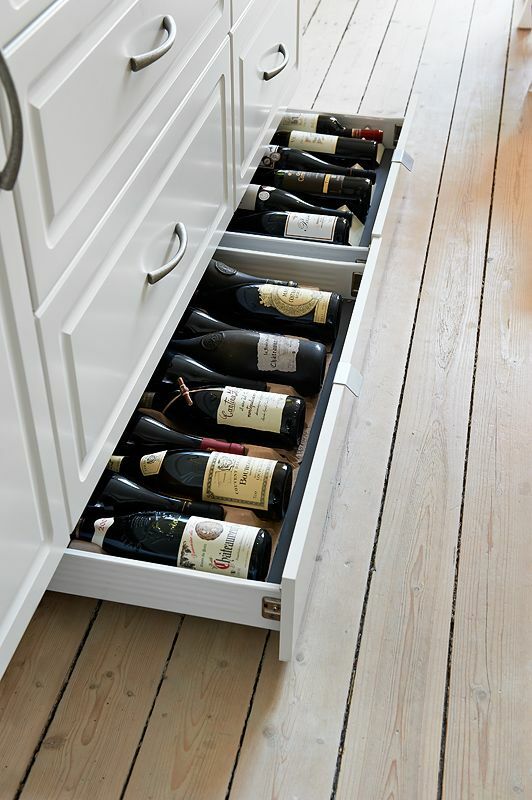 Then it really becomes a personal preference matter, and I do prefer horizontal for long time wine storage. Great Article, Thank you! Steve has been getting me into long term wine storage and this is very helpful. Nice article on storing wine.